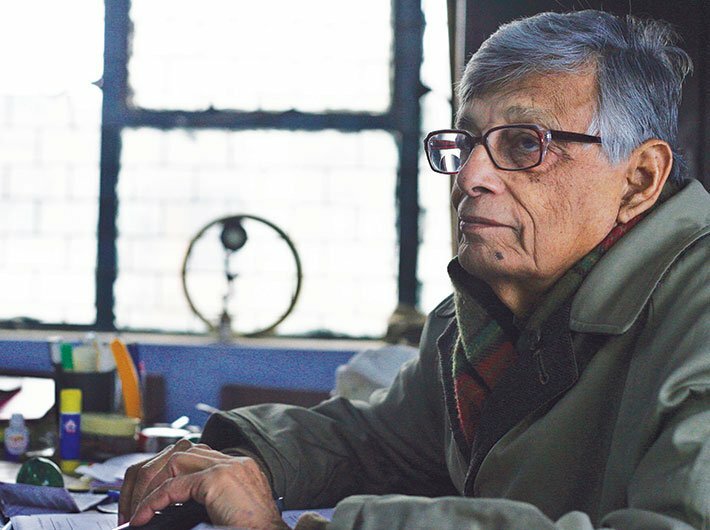 Veteran historian Irfan Habib believes that even if the present generation is unaware of Gandhi and his works, it doesn’t make any difference. “Gandhi will remain,” he says. Champaran was Gandhi’s first political campaign in India, and he chose to work in rural areas and for farmers. Can you tell us more about this context – how unusual was this for the mainstream political leadership back then? Gandhi had already travelled through the rural side of India and he never took up politics. It’s wrong to say it was a political campaign. He simply concentrated on the peasants’ demands. He didn’t mix the Home Rule movement with Champaran. That is what we should learn from him, in a movement he concentrated on the demands. When we talk of the Champaran satyagraha, the focus is rightly on Gandhi, but the struggle of the indigo farmers is lost to the pages of history. It is largely undocumented. Is there a need to shift the historical narrative from Gandhi to the subaltern? I don’t think there should be a shift in the narrative. The peasants were already oppressed, but they were not in a position to go against the state. It was Gandhi who spoke for them. The narrative cannot shift from Gandhi to the subaltern as the struggle was combined. Earlier, there had been outbursts like the indigo rebellion of 1859-60 (in Bengal), but most of the time the peasants suffered. If Gandhi wouldn’t have gone to Champaran, there wouldn’t have been a Champaran satyagraha. So it is wrong to say that their struggle was undocumented. Gandhi had led several satyagraha campaigns in Africa, and he was to lead many more in India. What is unique about Champaran? Champaran happened on a moderate scale. In fact, it was the first peasant movement linked to the national movement. It was so mild in operation but so effective. You will find no reference to his celebration of the Champaran success. In fact, it triggered a series of movements like the Khilafat movement, the Ahmedabad mill workers strike, Kheda satyagraha, [agitation against] the Rowlatt Act and the noncooperation movement. It opened the gates and that’s why it should be celebrated. What are the takeaways from Champaran satyagraha which are still relevant? It is the form of leadership, a determined and cautious leadership, that he showed in order to protect the rights of the peasants. He never asked peasants to go to jail but he himself went to jail. Also, people like Dadabhai Naoroji and RC Dutt also raised voice against the exploitation of indigo farmers, but it was Gandhi who organised the poor for the first time and linked it to the masses. The Champaran satyagraha was successful even amidst a more hostile environment than today’s when dissent is called anti-national. How similar are the times of Champaran satyagraha and today in terms of the state? The times were not similar and the situations were different. The planters had total control over the peasants and Gandhi shook that with his movement. In this simple movement of record and complaint, the whole authority of the planters crumbled and ultimately you had the government conceding to all the demands made by Gandhi. This was a characteristic Gandhi movement, where you take very moderate demand but then you to go all out and don’t make any further drawback. His demands were always moderate but his struggle went to extremes. This characteristic of the Gandhian movement remains till the Quit India movement. Apart from indigo farmers, can you tell us about the problems farmers faced 100 years ago? Did their plight find voice in politics? Peasants faced two exploiters: the British government, which had a very heavy land tax and indirect tax, and zamindars. The Gandhian strategy was not to bring down zamindars but to concentrate on the British government’s indirect taxes and other [matters]. He isolated British planters. It was Jawaharlal Nehru who focused on zamindars.